In a joint venture between VE Global and NetEnt software developer, Mr Green will now join up with the two companies’ online media buying programme. The Mr Green brand is an online casino, live casino and sportsbook available in 13 countries. It’s the latest operator to sign up to the NetEnt/VE partnership which is reportedly the largest data-collaboration of its kind in the online gaming industry. What Does the NetEnt Software Developer/VE Partnership Entail? As a by-product of the partnership, VE and NetEnt-powered services will enable the Mr Green online casino brand to be more precise and accurate in its marketing activities. This is made possible thanks to a first-to-market programmatic solution. The unique solution combines a Demand Side Platform from VE with NetEnt’s global data in an effort to advance online player procurement and retention by way of greater targeting and personalisation. Commenting on the move to join this partnership, Managing Director of Green Media, Oskar Muhlbach said that VE and NetEnt’s programme has the potential to be a significant game-changer in the world of online marketing in the gaming industry. The Mr Green brand is reportedly excited by the efficiencies and opportunities the joint venture will bring to its business. With ICE coming up, VE Global’s CEO, Morten Tonnesen, has said that VE is delighted to have Mr Green on board as customers in a growing online community that is dedicated to a consumer-first approach in the industry. As a significantly innovative casino operator, the Mr Green brand along with its powers-that-be have led the charge on several technological fronts. The brand’s commitment to improving customer experience has placed them at the forefront of the iGaming industry. Chief Product Officer of NetEnt, Henrik Fagerlund has added that both VE and NetEnt are forging ahead to disrupt media buying strategies for online casinos. As an operator that is well-known for its ambition and innovation, Mr Green is ideally placed to maximise the benefits offered by the venture. The program is earmarked to bring immediate improvements in customer retention rates, brand awareness and acquisition costs. 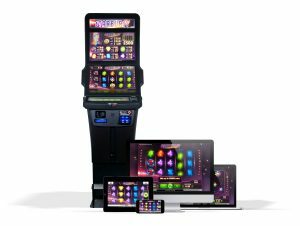 VE and NetEnt software developer are planning to officially launch their all-new media buying offering to the global online casino industry on NetEnt’s stand this month at ICE Totally Gaming, which will be held at ExCel in London. Mr Green is popular with players around the globe. The flash-based casino means you can power up your favourite games in your browser and start playing right away. The casino offers enticing bonuses and promotions and plenty of renowned NetEnt games. Whether you’re a fan of pokies or video poker, Mr Green has it all, and with this new venture on the cards, we’re sure that the bonuses and promos are about to get even better in an effort to boost player retention.